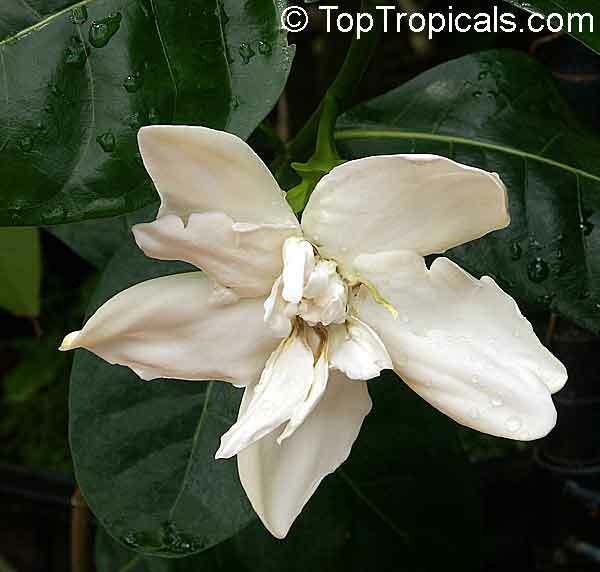 This hybrid variety is very rare and hard to find. The plant has huge double 5-6" flowers, normally semi-double, but sometimes they come in weird shapes. One of the few cultivated plants native to Polynesia. 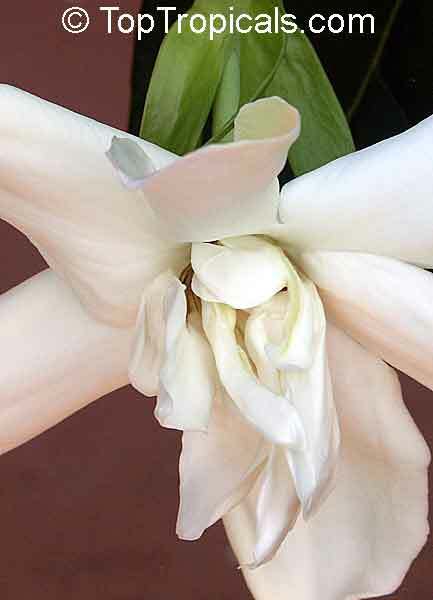 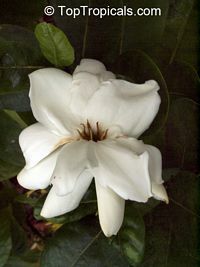 The intoxicating sweet fragrant blossoms are creamy white works of art. 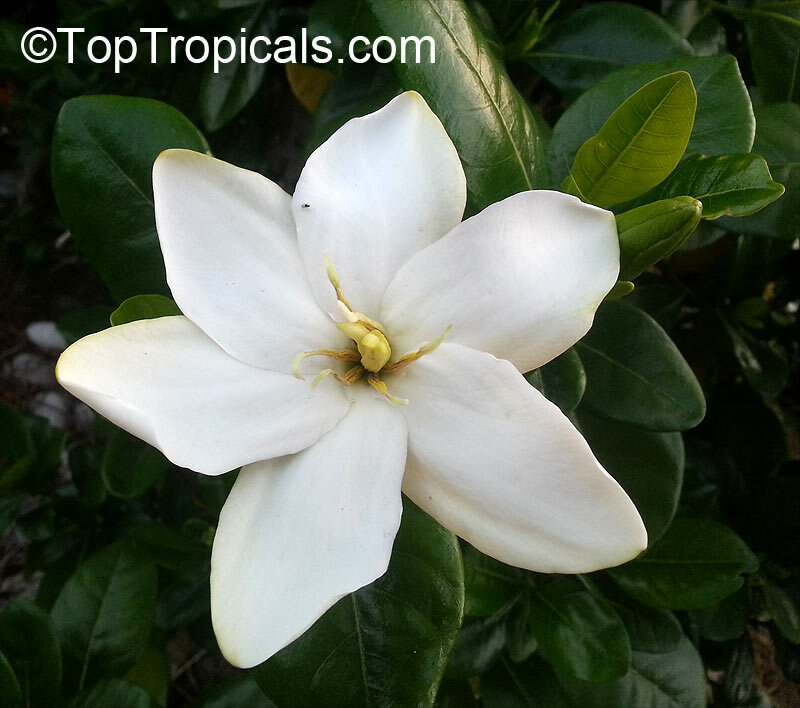 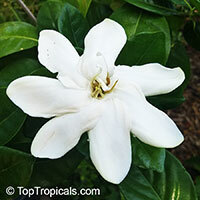 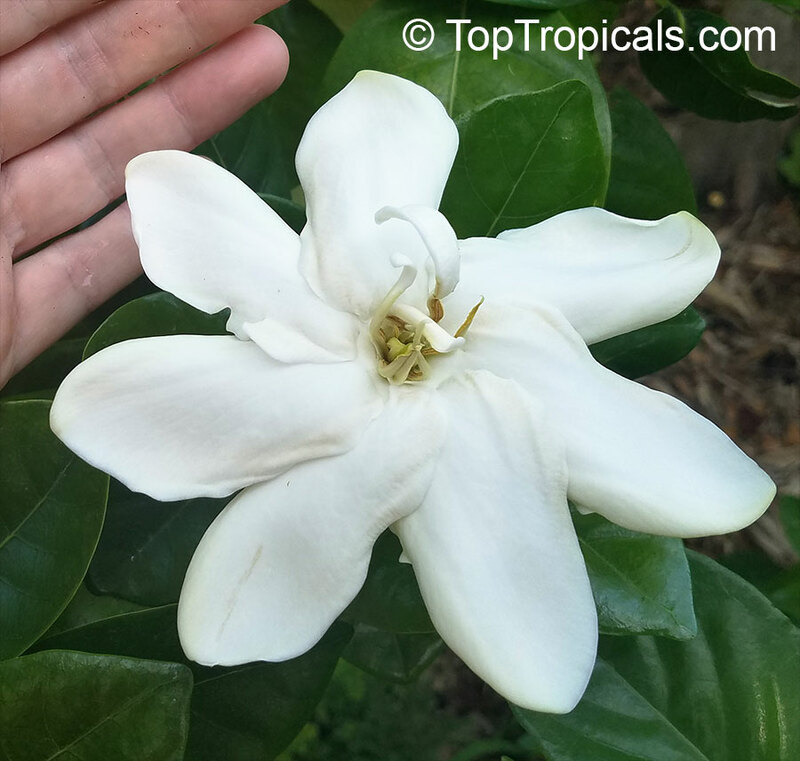 The biggest size gardenia flowers. 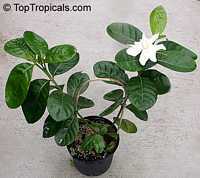 Foliage is beautiful as well with its dark green shiny leaves, also large as big as 7-8" long and 4-5" wide. 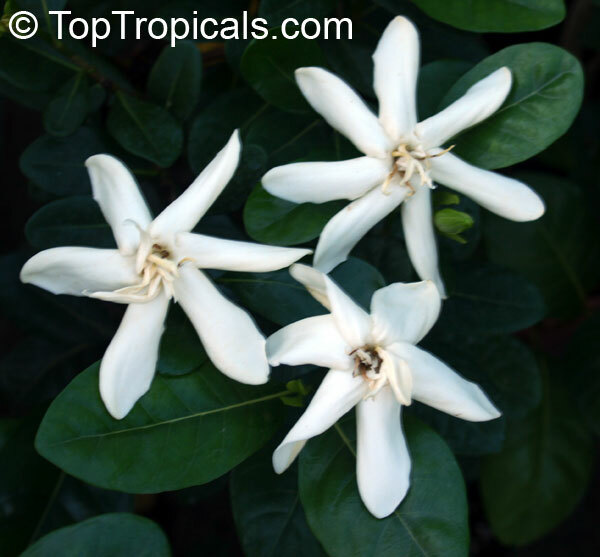 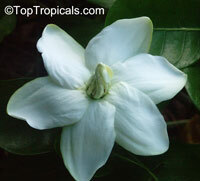 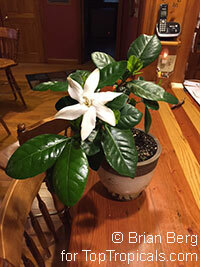 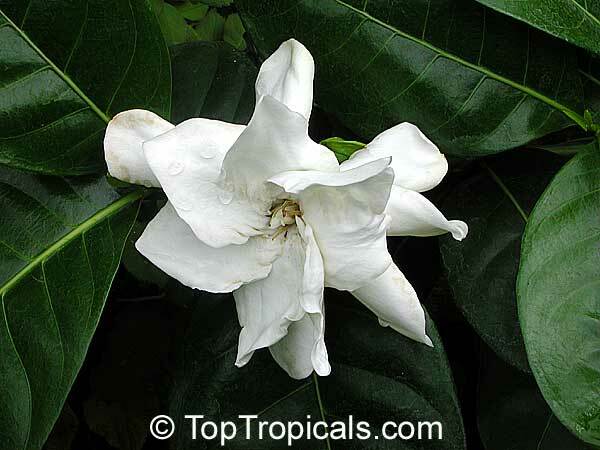 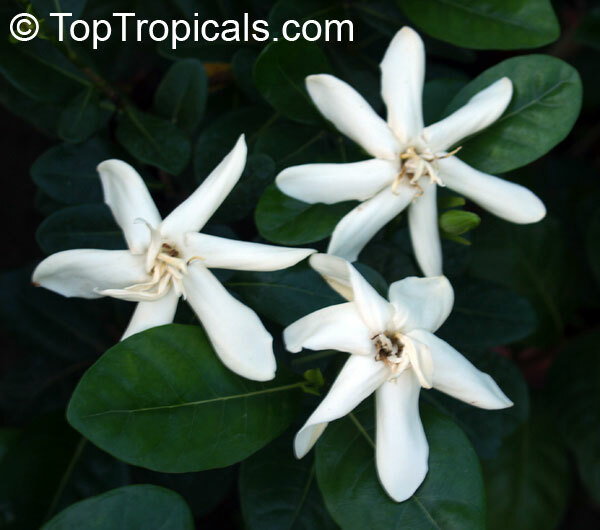 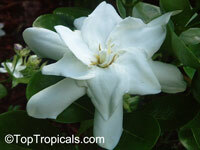 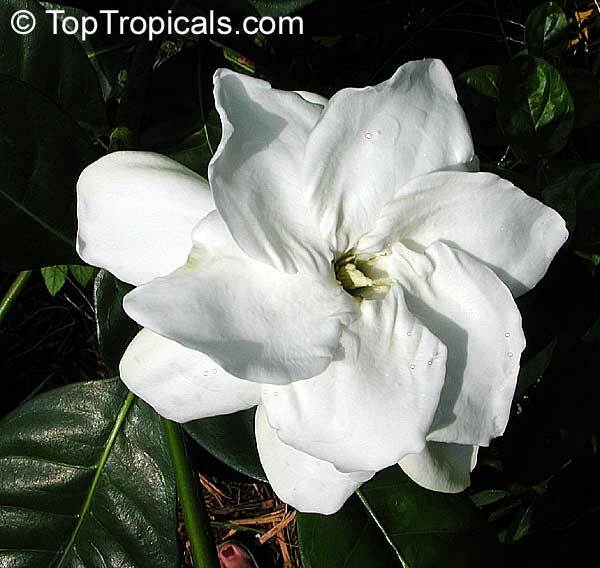 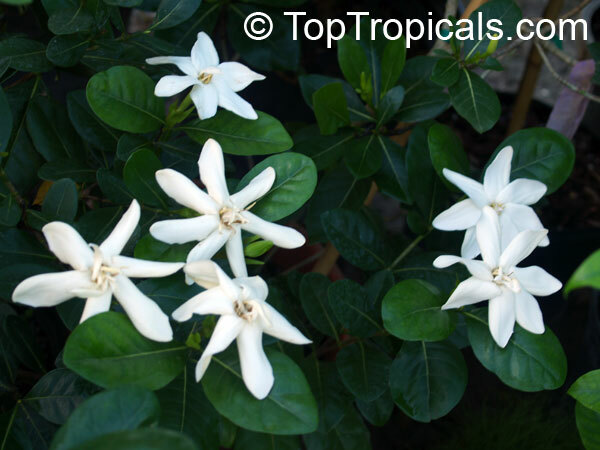 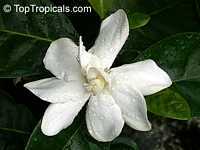 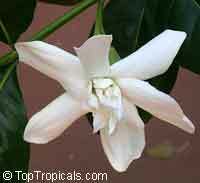 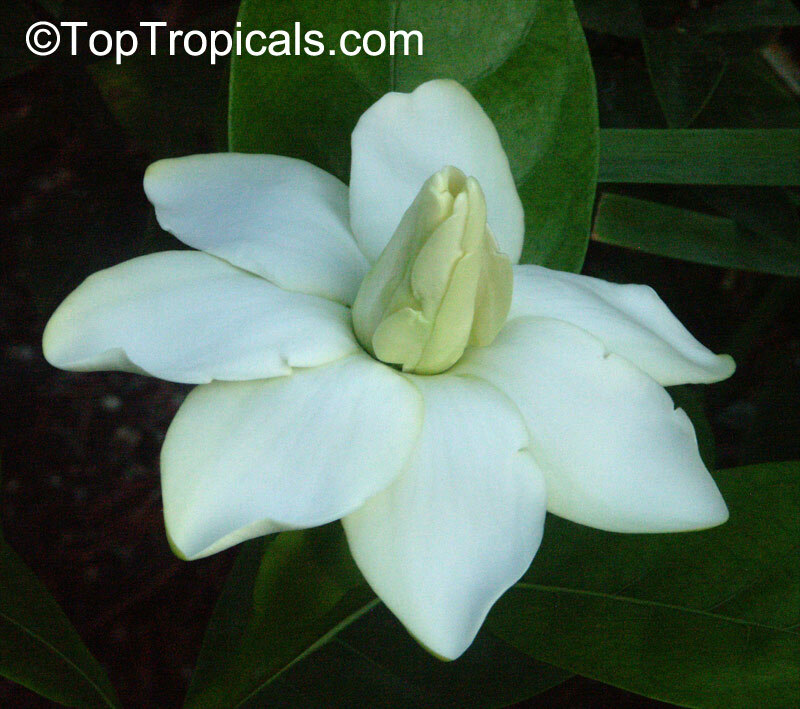 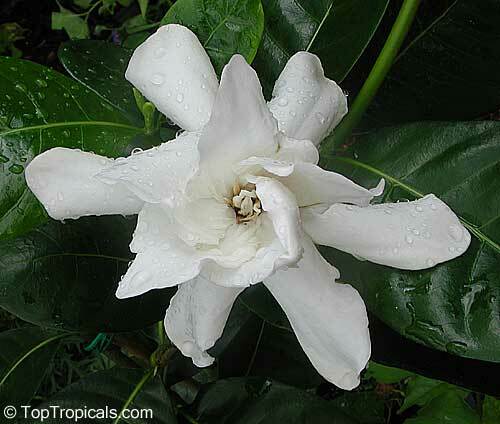 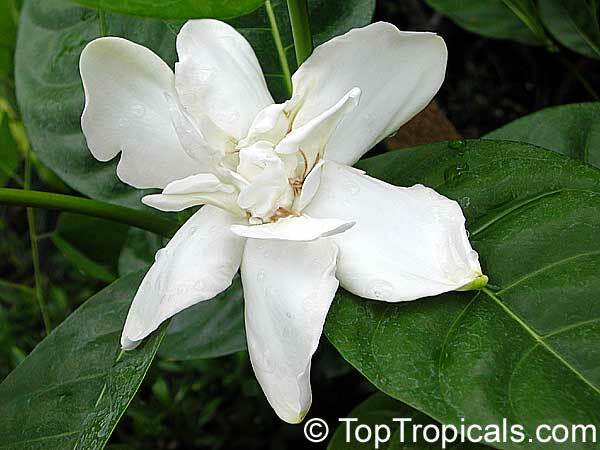 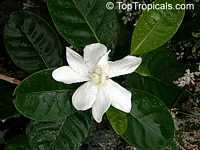 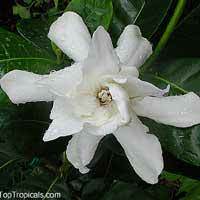 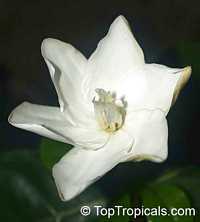 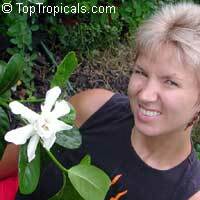 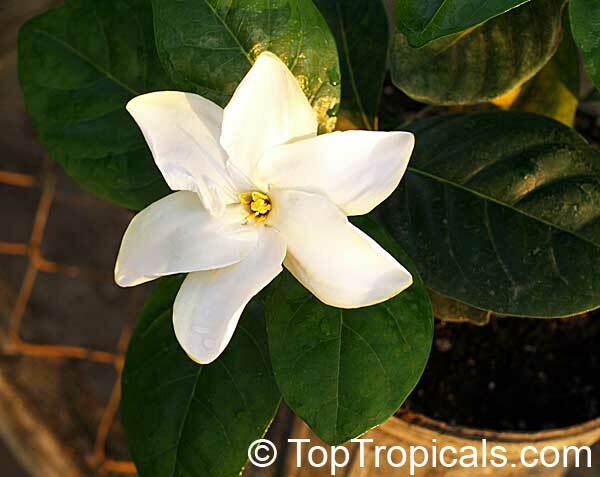 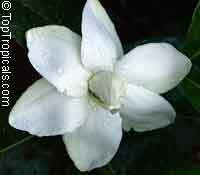 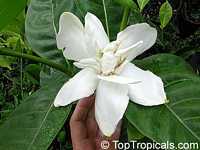 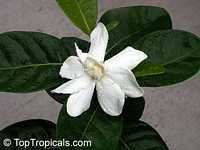 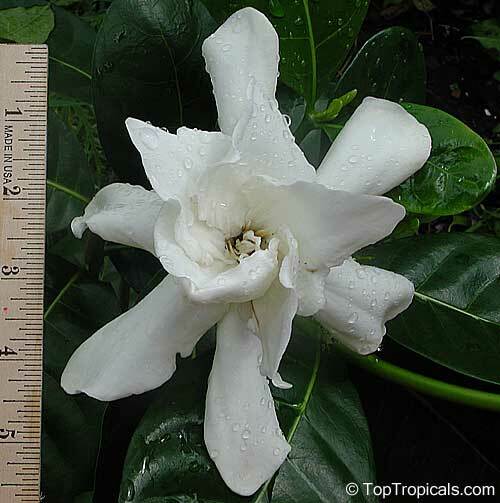 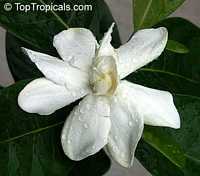 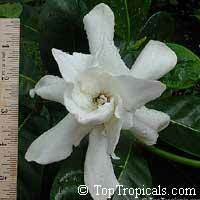 Read more about gardenias.